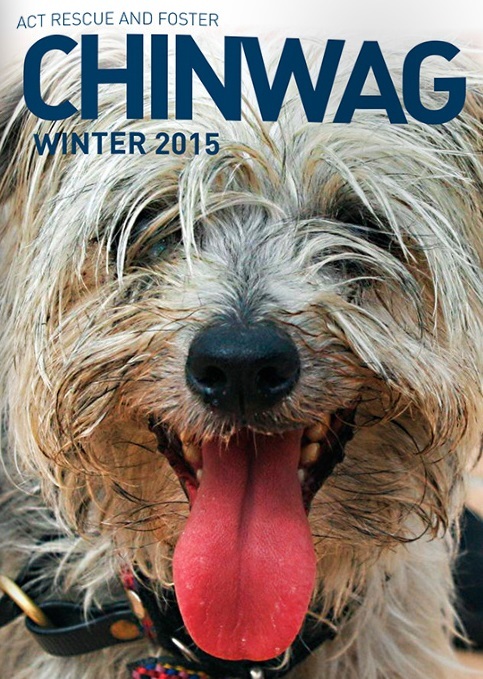 LFW Dogs includes covers and articles from ChinWag, a quarterly digital magazine published by ACT Rescue and Foster (Inc) (ARF). To view the articles and images click on LFW Dogs in the posts list in the right-hand side bar. Our winter cover girl is Peppa (formerly Diva), a golden oldie at 8 years plus, who came into care from the Canberra Pound (DAS) and is now living a life of luxury at Lake Illawarra. Peppa has the honour of being ARF dog number 2,500 rescued and rehomed since the organisation’s inception in 2001. On average the organisation rehomes 178 dogs each year. Read what The Canberra Times Gang Gang column said about ARF and Peppa here. This entry was posted in LFW Dogs and tagged ACT REscue and Foster, Canberra Pound, ChinWag, Domestic Animal Services Canberra, The Canberra Times on April 1, 2015 by gracienumber1.